Glen Garioch was founded in the eastern highlands in 1797. It's under the ownership of Beam Suntory since they acquired Morrison Bowmore in 1994. This acquistion brought an end to peated whiskies being distilled in Glen Garioch. The distillery was closed for 2 years in 1995, just a month after this particular expression was distilled and layed down. 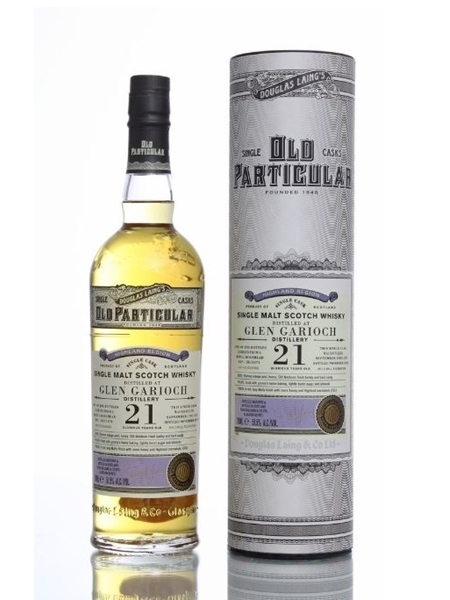 This gorgeous 21 year old single malt is one of 290 bottles, charged from refill hogshead number 11471. It is bottled at 51.5% ABV.